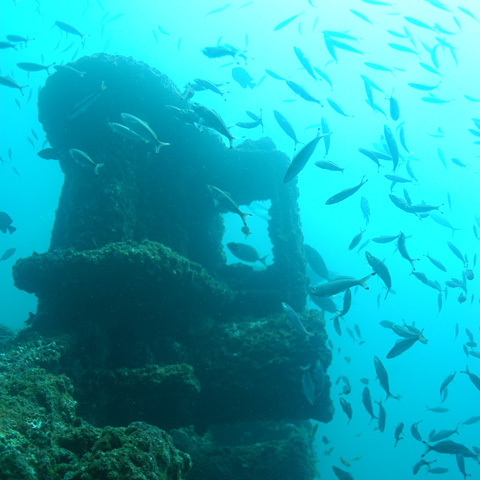 To the north of Mahé lie two slowly rusting wrecks, which are being reclaimed by ocean wildlife and becoming impressive artificial reefs, combining the thrill and mystery of wreck diving with the wonders of marine life forms. The RFA Ennerdale tanker ran aground in 1970, and had to be destroyed with explosives dropped by helicopter to prevent oil escaping and damaging fragile marine ecosystems. 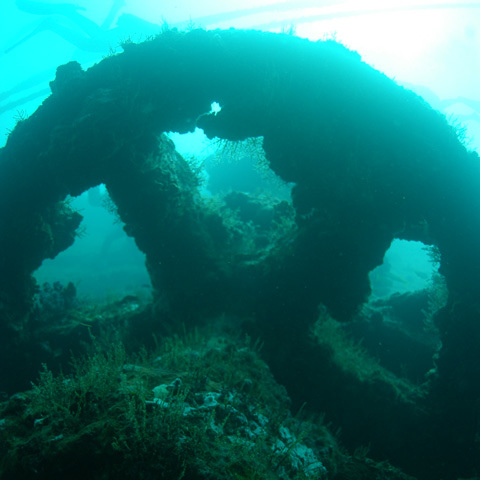 She lies at a maximum depth of 30 metres and despite the double traumas she suffered, the ghostly pilothouse and impressive bronze propellers remain intact and can be safely explored. The Aldebaran was confiscated after being caught fishing illegally in Seychelles waters, and later scuttled. She lies slightly deeper, at around 40 metres. 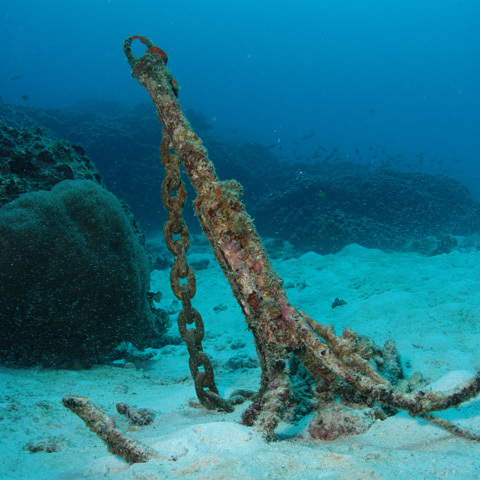 Both wrecks are festooned with life – moray eels, lionfish, jacks and a number of shark species can all be seen at both locations. 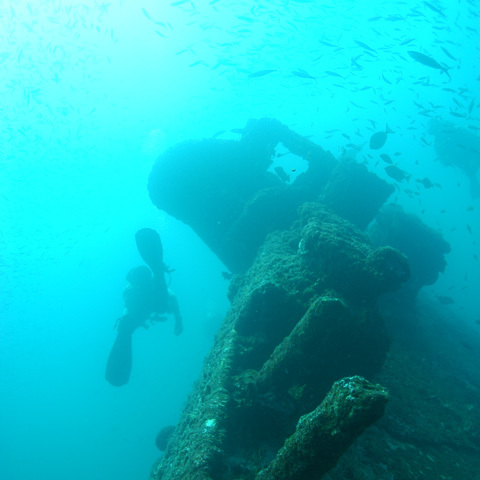 While this diving excursion is not for novice divers, it offers you a wonderful historical and natural experience to more experienced divers – as well as the opportunity to relax over a delicious brunch on board between drives.